Starbucks sells their famous pumpkin spice latte every year around this time and stores release pumpkin flavored cookies, chocolates, drinks, cereals, spreads and more! 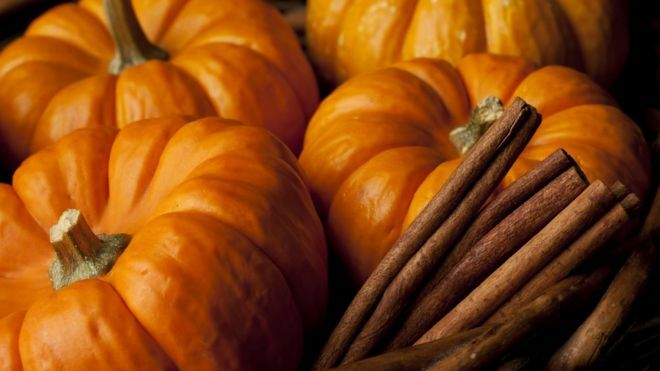 According to CNN, most pumpkin spice mixtures don’t use pumpkin at all. The spices are a mix of cinnamon, nutmeg and cloves. CNN reports that pumpkin spice is scientifically a little addicting. The combination of pumpkin spice flavor and sugar trains your brain and body to remember how good it tastes; and keeps you coming back for more! Another reason we like pumpkin spice so much is because the smell makes us feel comfortable. It reminds us of pumpkin pie, holidays, family dinners, and childhood memories. The nostalgia and taste remind us that a new season is coming. So as Fall weather continues we’ll be stocking up on all of our favorite pumpkin flavored items, will you?